Security is at the top of everyone’s mind and phone verification is a simple way to secure your application and help prevent bot accounts. Phone verification is a common security tool used when people sign up for a product or give you their phone number for the first time. Confidence in your users’ phone numbers decreases fraud and increases reliability of notifications. 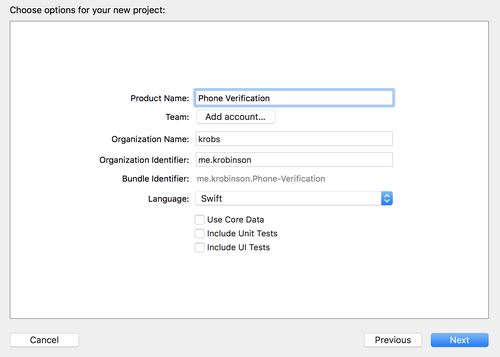 Let’s take a look at how to verify phone numbers from an iOS application using Swift and the Twilio Verify API. This tutorial will walk you through the process of SMS phone verification step by step. You can check out the final project on my GitHub. Navigate to the Twilio Console and grab your Verify App “Production API Key” (found under Settings). We don't want to store our API Key directly in our iOS application, so we'll need a backend server that will talk to the Verify API. Head over to the sample backend on my GitHub and click the "Deploy to Heroku" button. This is a small application written in Python, your backend can be in whatever language you'd like. The important thing is that it manages the Authy API Key instead of the iOS application. You'll be redirected to Heroku; give your app a name and "Deploy app". Next, hit "Manage App" and navigate to Settings. In Settings, add your AUTHY_API_KEY as a config var. Copy your Heroku Domain URL, we'll need this soon. Open up Xcode and create a new Project. Choose “Single View App”, give your product a name like Phone Verification, and hit Create. Next, create a new file (shortcut: ⌘N), choose the Property List template, and name the file Config.plist. This will store your Heroku URL. Add your Heroku Domain URL under the Root with the key of serverUrl and value of your URL. If you’re tracking your project using Git, make sure to add Config.plist to your .gitignore file. This is all the setup we should need to get our app started. 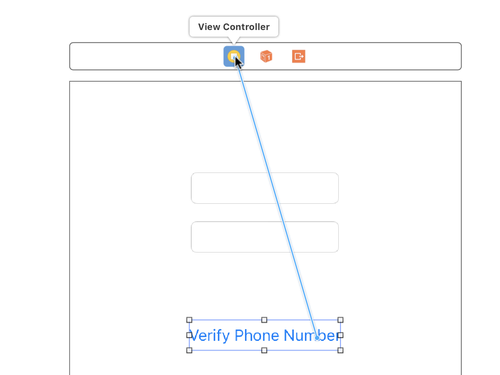 With only two API calls and three views, you’ll be able to verify your users’ phone numbers. Let’s test out our setup in Swift. We’ll be using URLSession to make our HTTP requests, but my coworker Sam has a full overview of the other ways to make HTTP requests in Swift 3.
var components = URLComponents(string: urlPath)! Navigate to Main.storyboard and drag two Text Fields and one Button from the Object library onto the canvas. If you're using XCode 10 you can bring up the Object Library with Shift+⌘+L. In the Attributes Inspector add placeholder text for the two Text Fields: one should read “Country Code” and the other should read “Phone Number”. Change the Button text to “Verify Phone Number”. Control-click on the View Controller icon and drag to the Country Code text box then select countryCodeField as the outlet. Repeat that for the Phone Number text box by selecting phoneNumberField. Next control-click on the Verify Phone Number button, drag to the View Controller icon, and select the sendVerification event. Build and Run the project with Command-R (⌘R). Open up VerifyAPI.swift and add the following code. This is similar to what we already added in ViewController.swift, but adds the function for checking verification codes and some helper definitions for parsing results and errors. successIndication.text = "Something went wrong!" In Main.storyboard drag a new View Controller onto the canvas and add a Label. I made the default text Success Indication Here but our ViewController code will be updating that programmatically. In the Identity Inspector, update the Custom Class to be VerificationResultViewController. Next, control-click the View Controller icon on the Result View Controller and drag to the Label. Choose successIndication as your Outlet. Next, we’ll do something similar with our CheckVerificationViewController. This View Controller will validate that the code the user enters is the one we’re expecting. We don’t have to track the code we sent anywhere, the Twilio Verify API does that for us! Back in Main.storyboard add another View Controller between Start View and Result View. We’ll add the transitions between those soon but first drag a Text Field, Label, and Button onto the canvas. Update the Label text to be red—this will be for any errors—and change the button text to be Validate. Then update the Custom Class to be CheckVerificationViewController. Drag from the View Controller icon to the Text Field and select codeField. 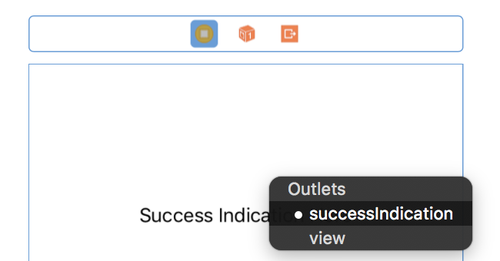 Now control-click the Validate button and drag to the View Controller icon and select validateCode under “Sent Events”. We can use our existing View Controller for the Start Verification. Add the following code to the StartVerificationViewController.swift file. It’s some of the code from the original ViewController file. Navigate back to Main.storyboard and update the Custom Class for the existing sending a verification view to be StartVerificationViewController. Make sure the references for outlets are still in place. You can now delete the original ViewController.swift file. We need to create the segues between our views. 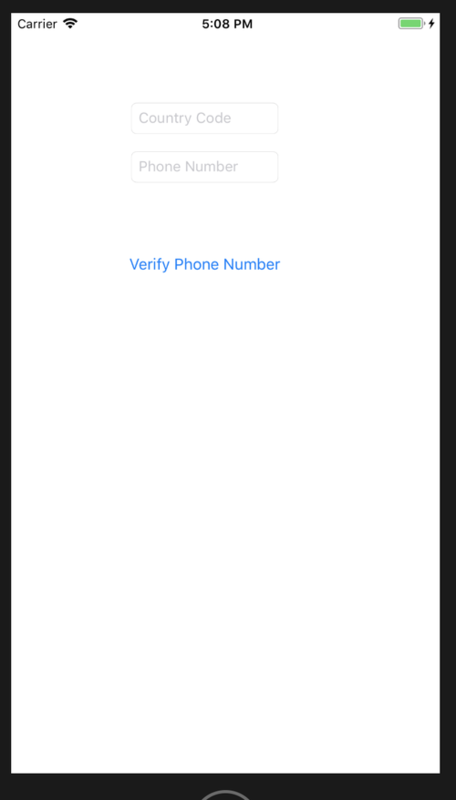 First, control-click the Verify Phone Number button and drag it to the Check Verification View Controller. Select ‘Show’ as the segue type. The next segue will be a bit different. With the Verification Result View Controller selected, head to the Connections Inspector and select and drag from the Present Modally segue to the Check Verification View Controller and select “manual”. Then select the segue arrow and, in the Attributes Inspector, update the identifier to be checkResultSegue. Now that all of the views are linked together, build the project again (⌘R) and try out the entire workflow. 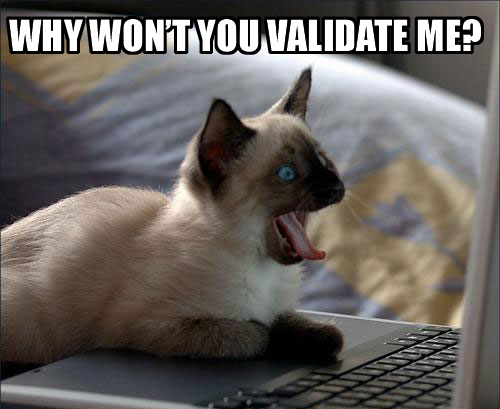 You should be able to receive a verification code and validate it using your new iOS application! Try entering a bad token to see the error message. There are a few more ways you can customize your verification flow. The default verification code we used is 4 digits, but you can support custom code lengths up to 10. You can also customize the message based on the user’s locale, which you can infer based on their country code. Check out these customizations and more in the documentation. 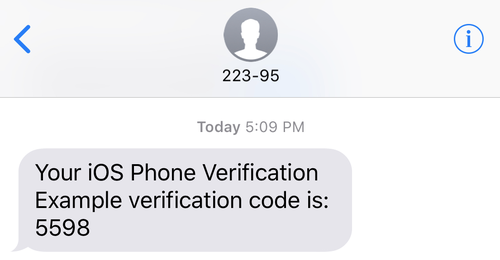 Our tutorial assumed all verifications would occur via SMS but the API also supports Voice. You can add radio buttons on the StartVerificationViewController for your user to decide how they want to receive their verification. 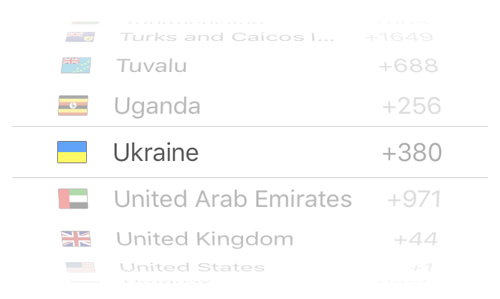 You can also add a nicer country code picker with one of the many libraries out there. For details on how to do phone verification on your desktop site, check out one of our phone verification tutorials. Once you have verified the user’s identity, you’ll still want to securely authenticate them at login. For that you can use our Authy Two-factor Authentication API. If you have any questions or want to chat about security, please don’t hesitate to reach out to me on Twitter @kelleyrobinson.